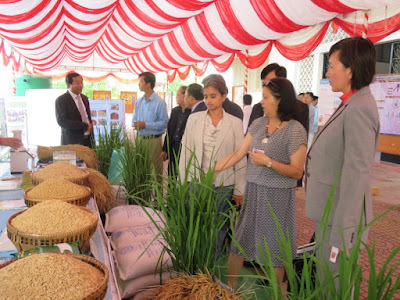 PHNOM PENH, Cambodia – more than 160 delegates were invited to the 1st International Conference on Sustainable Agricultural Intensification and Nutrition. The United States Agency for International Development (USAID) invited collaborators from its funded projects in Asia and Africa to encourage stronger partnerships within the network and with other universities and international organizations. In the conference, participants from IRRI talked about their projects and technologies that were implemented in the country. 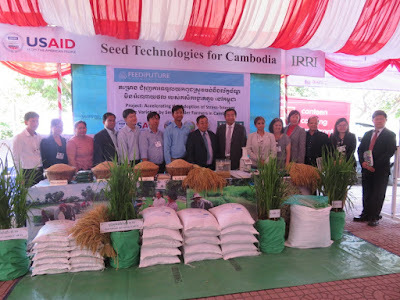 Dr. Gina Vergara, IRRI development specialist in Cambodia, talked about the project “Accelerating the Adoption of Stress-Tolerant Varieties by Smallholder Farmers in Nepal and Cambodia (ASTV)”. 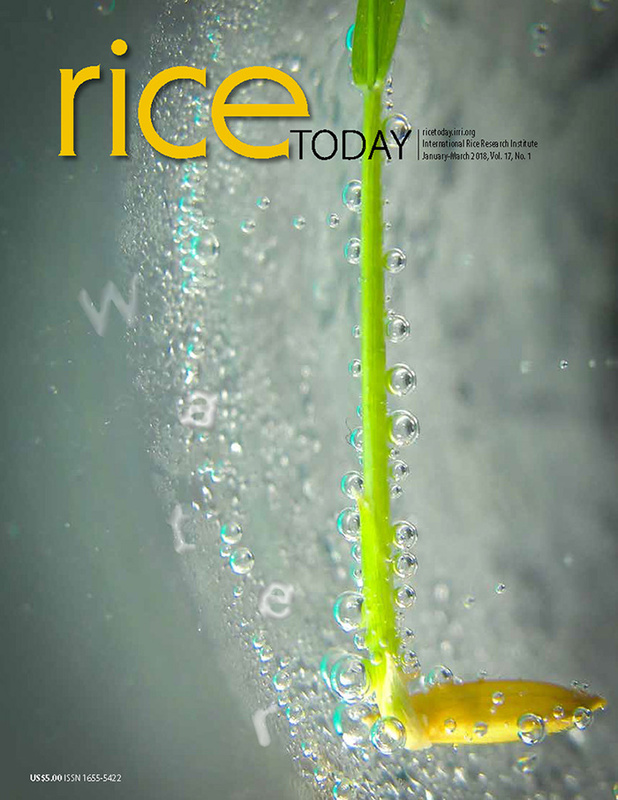 Smallholder rice farmers in Cambodia are the most affected by drought and flooding, and climate-resilient varieties offer the advantage of better tolerance and higher yields for these farmers. Through the ASTV, farmers will be better-equipped to raise crops despite weather conditions. Dr. Buyung Hadi, IRRI scientist, gave a presentation on “Developing Ecologically based Participatory Integrated Pest Management Package for Rice in Cambodia (EPIC)”. Both projects are under the Feed the Future Program of USAID. The two presentations educated the participants about the advantages of new rice technologies, and how they can be utilized to increase crop production. As part of the activity, delegates visited three provinces that feature techno-demo parks under the Center for Excellence on Sustainable Agricultural Intensification (CESAIN). 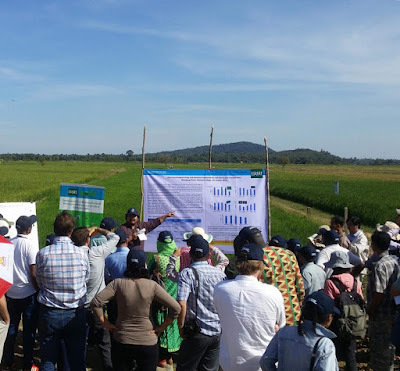 In the Kampong Thom province particularly, the delegates toured the ASTV demonstration site where they learned about the recently released heat tolerant variety, CAR16. During the tour, Dr. Hadi demonstrated the results of adaptive-research on use of different biological control agents and basic integrated pest management. He also guided the delegates through a participatory experimental site on these technologies. The conference was held last 10-13 January 2018 at the Royal University of Agriculture, and was supported by the United States Agency for International Development (USAID).